BALTIMORE, MD (March 22, 2019) – Shankara, a company that produces and distributes all-natural Ayurvedic skincare products, has announced plans to relocate its corporate offices, manufacturing and research and development operations from San Antonio, Texas to Maryland by this summer. 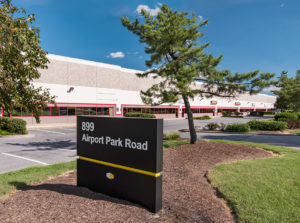 The company signed a lease with St. John Properties, Inc. for approximately 8,200 square feet of space within 899 Airport Park Road, a nearly 70,000 square foot building located within Cromwell Business Park near Baltimore-Washington International Airport in Anne Arundel County. Approximately 15 employees will initially work at the facility, with additional hiring expected throughout the year. 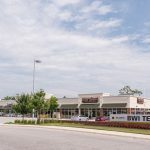 Lacey Johansson of St. John Properties represented the landlord and Kate Jordan of Lee & Associates Maryland represented the tenant in this transaction. Founded in 2001, the company markets a diverse line of skincare products using an Ayurvedic approach that emphasizes plant-based and all-natural ingredients to promote wellness and sustainable care. The line includes face cleansers and exfoliators; body washes, scrubs and moisturizers; hair shampoo and scalp oil; as well as anti-aging, acne, foot care and stress relief lotions and creams. Shankara products are available on-line and in more than 300 luxury spas including the Encore and Caesars Palace hotels in Las Vegas; Fontainebleau Miami Beach; Mandarin Oriental New York; The Breakers Palm Beach; Ocean Reef Club; The Reefs Bermuda and the Canyon Ranch resorts and line of cruise ships. 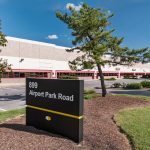 899 Airport Park Road is a single-story flex/R&D building featuring 24 foot ceiling heights and dock loading capabilities. 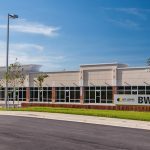 Cromwell Business Park, situated directly off Interstate 97 near Baltimore-Washington International Airport, consists of 19 office, flex/R&D and retail buildings comprising more than 820,000 square feet of space. The business community is approximately 10 miles from Baltimore, less than 20 miles from Annapolis and approximately 30 miles from Washington, D.C.